After 1918, Transylvania became part of Greater Romania. On December 1st 1920, the citizens of Brașov, through a unanimous decision of the city’s council, led by Mayor Karl Schnell, offered the castle to Queen Maria of Romania, who was described in the deed as “the great queen who (…) spreads her blessing everywhere she walked, thus wining, with an irresistible momentum, the hearts of the entire country’s population”. The Castle became a favourite residence of Queen Maria, who restored and arranged it to be used as a residence of the royal family. The uncertain years of the World War I mark the history of the Bran Castle by a ceremonial gesture of Braşov town authorities, which – on the occasion of the crowning, on the 30th of December 1916, of emperor Carol I of Austro-Hungary as king of Hungary (under the name of Carol the IVth),– intend to mark the event by a … donation. Two days before the big event, on the 28th of December 1916, the mayor of Braşov, dr. Karl Schnell, justifies his gesture before the assembly of town representatives as follows: “We, citizens of this free royal town, gathered for the first time since the beginning of the unfaithful neighbors’ invasion, want today to salute His Royal and Apostolic Majesty, from deep inside the heart (…) We decided today to kindly ask His Majesty, as it was in the old days, to take possession of the castle on the ancient rock Dietrich. And we offer this present with faith, as abiding subjects”. Adding “the proud felling of the invincibility of the monarchy, after the bright successes in the East”, the mayor Karl Schnell presented this proposal to the town judge, for approval and further fulfillment. “Enthusiastically”, he established “in the name of all citizens,” that “from the part of our town, we ask him [Carol the IVth – n.n.] to receive as humble present, the Bran Castle and the park, property of Braşov town”. History, however, did not confirm the predictions of the Mayor of Braşov, as the Austro-Hungarian monarchy did not prove to be as invincible as expected, and the “bright successes in the East” soon became a faint memory. The emperor, therefore, could not accept the offer made by the inhabitants of Braşov. After the demise of the Austro-Hungarian monarchy, the abdication of the sovereign and the formation of the Enlarged Romania, on December 1, 1918, such a gesture would have been pointless. Consequently, exactly two years after the Unification, on December 1, 1920, the people of Braşov, represented by the same mayor, Karl Schnell, made a gesture of courtesy towards the new sovereigns of the Enlarged Romania by giving the castle to their Queen, Queen Marie. This was also, in a way, a means of seeking the Romanian royal family's good graces, as their summer residence was not far from Bran, at Sinaia. This was also an opportunity for Bran Castle to come back to life, it weren't for the restorations made by the architect Karel Liman, on the Queen's behalf, the edifice would have probably shared the fate of other medieval monuments, which had been ruined through negligence and the passage of time. The wording of the decisions adopted by the town council of Braşov also express the strong feelings of the people, the community at the foot of Tâmpa Mountain, towards Queen Marie of the Greater Romania, another motivating factor. “Today, the town council of Braşov, mentioned the Donation Document as a corporation endowed with the mandate of representing the town, have unanimously decided in this festive gathering to give to Her Majesty Queen Marie of the Enlarged Romania the ancient castle of Bran, so rich in historic memories, the formerly castrum in lapide Tydrici, as a token of the profound veneration and the firm dynastic sentiments of our town. This donation is intended, firstly, to be an expression of the sincere veneration that the population of our town feels towards the great Queen who dries the tears of widows and orphans, encourages the down-hearted, offers support and consolation to those who suffer, and spreads blessings everywhere she goes, thus irresistibly winning the heart of the entire country and its people. In order to become the home of the royal family, Bran Castle was endowed with all the necessary facilities for a true royal residence. Water was provided by the fountain drilled in the castle's patio, 57 meters down. To light the castle, Queen behind their gesture. Marie ordered, in May 1932, the construction of a power plant with a turbine, to which the communities of Bran, Simon and Moeciu were connected. These were, as stated in a letter of gratitude sent by the inhabitants of the three communities to Queen Marie, “poor traditional Romanian communities that could not have received a benefit such as this in the foreseeable future,” The turbine, manufactured by the Voith company, was put into service on August 29, 1932. Additionally, an 85 HP hydroelectric power station was built on the Turcu river in December of 1932 to light the castle and its surroundings. Communication with the outside world was facilitated through three telephone stations in the castle. The telephone installation and the power plant were modified and replaced in 1941 and 1944 at the request of Princess Ileana. As the castle had a ground floor and four upper levels, it was also provided with an elevator, just like the Peleş Castle. The elevator was finished in 1937 to facilitate the Queen's walk from the park to the castle. For easier communication with the Tea House, a cable railway was installed, which was used to transport the food the Queen used to share with her guests in the traditional five-o'clock tea gathering from the castle's kitchen. The house was provided with a cold and hot water installation, electricity and sewerage, which were specially arranged for mini-receptions in a natural setting. In 1946, a marsh gas supply was introduced at the castle. At Bran, as in other palaces and castles, the architectural dreams of Queen Marie were plentifully manifested. Thus, a hunting house, a little wooden church, a wooden house comprised of seven rooms, and two hovels (one for the Queen, the other for Princess Ileana) were built. 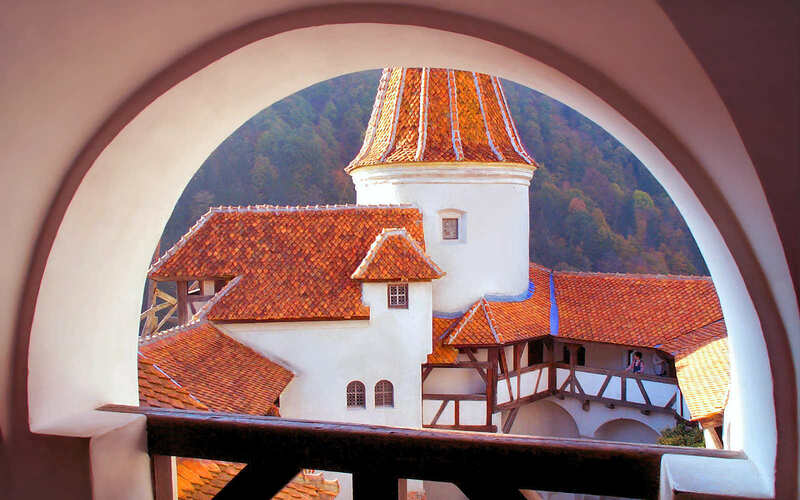 Bran Castle was, along with the Balchik Palace, Queen Marie's dearest residence, as she, with her well-known imagination, transformed the solid and seemingly unwelcoming fortress into a modern and comfortable summer dwelling. The transformations undertaken by Queen Marie at Bran also include the construction of external structures around the castle: the Tea House, made of wooden beams (144 sqm); the Guest House, made of quarry stone (78 sqm); Princess Ileana's Children House (43 sqm); the New Private House (176 sqm); the staff house (378 sqm); stables for horses; and six garages. The castle was only inhabited by some members of the royal family, for whom separate apartments were arranged. Among them was Queen Marie, whose apartment included a hallway, a dressing room, two parlours (including the Yellow one), a bedroom, a bathroom and a dining room, as well as apartment where the sovereign gathered a variety of personal items (tableware, icons, statues, paintings, and books). The Queen brought two of her cherished children close to her, Ileana and Nicolae. Prince Nicolae, to whom the Queen intended to bequeath Bran in 1930, received the most elegant apartment in the castle, comprised of a bedroom, a parlour, a room called “Princess Maşka”, a guest room, the German room, the music salon, the dressing room, a bathroom and two terraces. After his return to the Throne, in 1930, King Carol II, a passionate hunter, arranged an additional apartment at the castle (comprised of a bedroom, a parlour, a Tyrolean room and a “Doria” dining room, which he used to inhabit only when he came to hunt in the area. Being a woman of faith, Queen Marie arranged in Bran, as she did in every royal residence she inhabited, a chapel, which was painted in November of 1927 by Arthur Verona (who was paid Lei 200,000). The chapel, endowed with a sculpted and gilded wooden altar, an iconostasis, a chandelier, three stalls, three candlesticks, two crosses and two icons, was, along with the little wooden church near the Hunting House, the place where the Queen found peace during times of trouble. Queen Marie transformed not only the castle, but also the Bran Castle Park, which was arranged in accordance with her plans and sensibilities. Flowers were the Queen's great passion, and all her royal residences included modern greenhouses equipped with heaters, which were used during the winter. In Bran, a greenhouse and a small garden of roses were inaugurated in July of 1922, according to the architectural plans of Karel Liman and built by Klof & Co. of Codlea. The flower seedlings (roses, dahlias, chrysanthemum) were brought from Codlea as well as ordered from abroad (from Erfurt and Reading, England) including some rare species. The chief gardener of the castle was Petre Conrad (who used to have a monthly wage of Lei 3,691). Constantin Pamula remained the chief of the Royal Park of Bran until 1938. All the flowers, not only those of Bran, but also those of the gardens of the other royal palaces, had been acquired from a flower shop and an outlet in Bucharest, located in the “Malaxa” and “Mica” buildings on Calea Victoriei. The Queen not only cared for flowers, but for trees and animals as well. In 1922, forty apple trees, twenty pear trees, fifty cherry trees, twenty-five plum trees, and seventy blueberry bushes were brought to Bran Park from the Royal Gardens Division of Cotroceni. In May of 1929, after closing the Făgăraş farm, the Administration of Agricultural and Zoological Exploitation of Bucharest was requested to send 1,000 trout (10-15 cm long) to populate the Bran Lake. Some of them were also placed in an aquarium inside the castle. Queen Marie wished to populate the lake not only with trout, but with swans as well. She ordered Colonel August Spiess, the manager of Royal Hunts, to organize, between August 29 and September 3, 1932, an expedition on the Sinoe lake in order to acquire swans. He received Lei 3,113, which he used to “bribe” the guards at the Old Fortress and to pay the border guards who helped him catch the graceful birds. The swans caused big problems for the Queen, even leading to a conflict with the inhabitants of Bran when one of the swans was eaten by dogs. Following the incident, some of the castle's men shot the pedigreed dogs of the private residents in the surrounding area, who appealed directly to the Queen and protested. During Queen Marie's time, Bran Castle witnessed a period of glory as a royal residence. The domain of Bran Castle was extended by the Queen by purchasing or transferring the meadows around the castle into her property. In 1934, the Queen acquired the Măgura forest. Additional properties that belonged to the sovereign and the riding grounds of Braşov. The total area of the Domain, as assessed after the Queen's death, was 233 yokes, in addition to 183 yokes of forest (beech and fir trees), 93 yokes of grazing fields, and 2 yokes of meadowlands. Despite having only arrived in the country the previous day, the Queen expressed her enthusiasm to travel to Bran and to Balchik, her favourite abodes. “She told us how happy she was to be back home and how excited she was to go to Bran and to Balchik following her stay t here [in Peliso] ,” King Carol II wrote in his journal. Unfortunately, her last wish would not be fulfilled. In her will, Queen Marie bequeathed Bran Castle to Princess Ileana, as well as several houses at Balchik. The Princess, who lived with her husband, Anton von Habsburg, in the Sonnberg Castle in Austria, , arrived too late to find her motheralive. On the very day of Queen Marie's imminent end, July 18, 1938, Princess Ileana departed on a “19-hour trip through Austria, Hungary and Romania,” alongside her husband, Anton von Habsburg. After the Queen's death, on August 3, 1938, the architects D. Antonescu and Eugen Dimitriu drafted the valuation document for Bran Castle and its royal Domain. The Castle was valued at Lei 4,967,500, the land at Lei 5,800,000, and the other buildings of the complex at Lei 9,264,500. 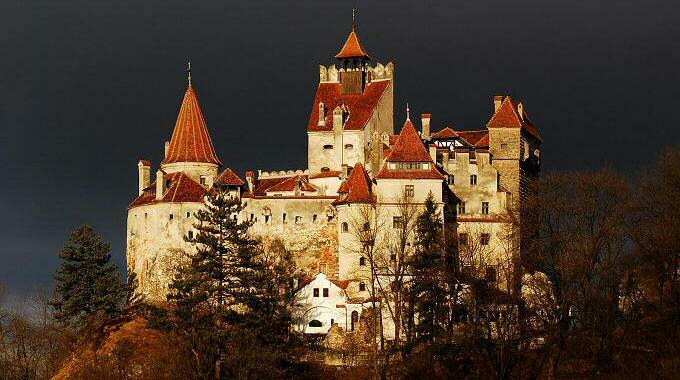 As a whole, the domain of Bran Castle was worth Lei 20,032,000. After a week, on August 11, the official transfer was made and the Castle became the property of Princess Ileana, who later returned to the country for good in September of 1940, after King Carol II abdicated. 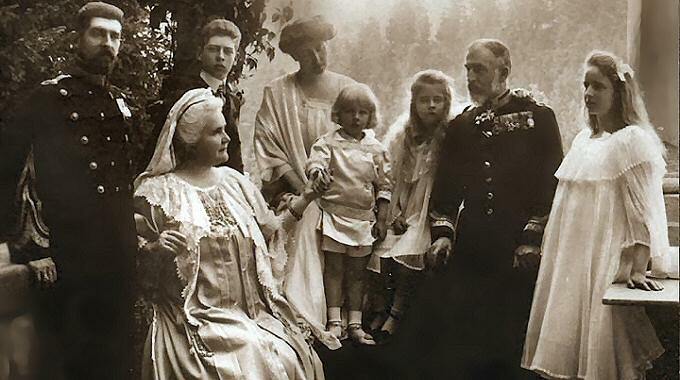 Over the years, the Princess would nostalgically remember her mother's gesture: “Among other visible symbols of her love, delicacy and understanding, which are so rare even between a mother and her daughter, my mother left to me the charming Bran Castle, which we both loved so much; the sapphire and diamond crusted diadem, which made it possible for me to start a new life for my children; and an ermine cape that covers my bed during the cold nights”. In the fall of 1940, Princess Ileana's top priority was to bring the case containing the Queen's heart, from the “Stella Maris” Chapel of Balchik, to Bran. The heart was originally placed in the small wooden church of Maramureş . The case containing the Queen's heart was eventually placed in an alcove, which was chipped into the cliff near the old church.. The heart was placed in an octagonal silver case (weighing 561 grams), which was enveloped in the flags of Romania and England. It was then inserted into a bigger case (8.1 kg), made of gilded silver and encrusted with platinum and precious stones (307 brilliants, sapphires and rubies), which was created by Maurice Froment. One face of the case bears the inscription “To Her Royal Highness, Princess Marie of Romania, from the Ladies of Romania.” In the centre of the lid the royal crown appears, placed on the Romanian flag. The panels are decorated with the Queen's monogram (“M”) and the blazons of all the country's counties, with the exception of Transylvania, Basarabia, Banat and Bucovina. The case containing Queen Marie's heart was placed in a white marble urn, wrapped in the flag of Brig Mircea, and transportedto the Stella Maris chapel in Balchik. In 1995, a memorial plaque was mounted on the wall of the alcove in that cliff reminding all visitors that the case containing the heart of Queen Marie once rested here. Perhaps this case should find its final resting place here, at Bran, as a reparatory gesture in remembrance of the great sovereign who loved Bran Castle with all of her heart. In remembrance of her mother, whom she loved so dearly, Ileana made another Christian gesture of great nobility: she brought the remains of her little brother Mircea to the chapel inside Bran Castle. Due to the serious damage the church at the Cotroceni Palace suffered during the earthquake of November 1940, the Princess got the permission to relocate the small coffin and bring it to Bran. “He [Mircea] was the great love of my heart,” confessed the Princess. “He had not yet turned 4 when he died, in October of 1916, being one of the first victims of the typhoid fever epidemics of the war”. After the abdication of the king, when Princess Ileana was forced to leave Bran(in January of 1948), her last moments in the castle were spent praying at Mircea's grave, which remained, just as it was during World War I at Cotroceni, “the only guardian of our home.” “This time, however, the heart of his mother, in the cliff across the narrow valley, keeps him company”. 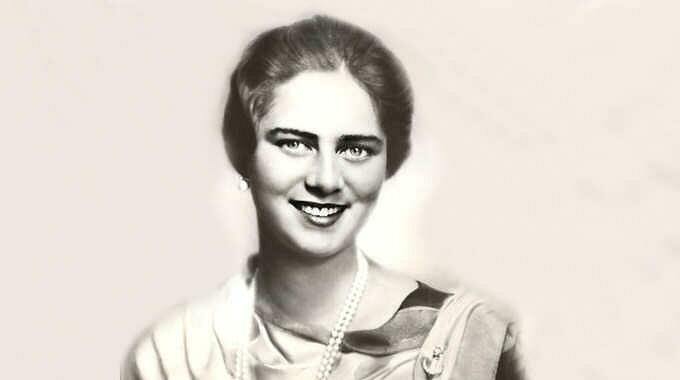 On July 24, 1931, At the age of 22, Princess Ileana married the archduke Anton von Habsburg (1901 – 1988), breaking the tradition of matrimonial alliances that her brother and sisters had made with members of the royal families of the Balkans . Both the civil and the religious matrimonial celebrations took place at Peleş Castle in Sinaia. The ceremony lasted three days (July 24 – 26), and was one of the most spectacular receptions the royal family had ever organized. On Friday, July 24, 1931, at 11 A.M., the newlyweds received congratulations and gifts from their invitees in the large lobby of Peleş Castle. The next day, on July 25, a dinner-party was organized at the Peleş Castle for 600 persons, including members of the Romanian royal family, members of the family of Archduke Anton von Habsburg, members of the Government, politicians, foreign diplomats, officers and others. The religious ceremony was held on July 26, in the large lobby of Peleş Castle. The ceremony followed the catholic tradition by the archbishop Alexandru Cisar, assisted by His Eminence Vladimir Ghika. Princess Ileana, however, retained her Orthodox faith. Following the ceremony, at 5 P.M., the newlyweds left for Bran Castle. The couple's enjoyment of their time in Romania was cut short, however, as King Carol II did not hesitate asking his sister to settle her residence abroad. Ileana and Anton von Habsburg left Romania in January of 1932, making their first stop at the Belgrade royal palace, the residence of the Princess' sister Queen Marie (Mignon) (1900 – 1961), who became the Queen of Yugoslavia following her marriage to Alexander II Karadjordjevic (1888 – 1934), the King of Yugoslavia (1921 – 1934). The King was killed at Marseilles only two years later. After the marriage, the first problem Princess Ileana and Archduke Anton encountered was finding their dwelling abroad. 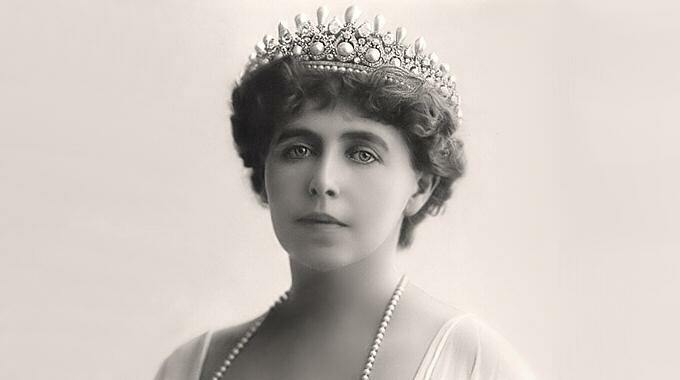 For one year, they rented the München residence of Queen Marie's sister, Beatrice of Bourbon and Orleans (born Princess of Edinburgh; 1883 – 1966), who was nicknamed “Baby Bee” by her family. A consolation for the Princess' sensitive heart came in the summer of 1934, when the couple purchased the 400-year-old Sonnberg Palace, located 50 km away from Vienna, which “has become our most beautiful house,” confessed Princess Ileana. “There, I led a quiet life, dedicated to our ever-growing family and to the people who live around the palace domain.” Then follows an intense activity for the cleansing, restoration and arrangement of the castle, “at least twenty carts of papers, magazines, damaged furniture, rags, broken glasses and plates and actual rubbish” being thrown away. The princess lived at the Sonnberg Castle together with the six children of hers and of the archduke Anton von Habsburg: Ştefan (born in 1932), Marie-Ileana (Minola) (born in 1933), Alexandra (Sandi) (born in 1935), Dominic (Niki) (born in 1937), Maria-Magdalena (Magi) (born in 1939) and Elisabeta (Herzi) (born in 1942). It is also from here that the Princess would send an abundant correspondence to Romania, from which her longing for the country and for her dear places, Balchik and Bran, clearly arises; places she will revisit much later, after taking possession of them and after King Carol II abdicates and leaves Romania. Bran Castle witnessed a renewed evolution during the nine years it was in the possession of Princess Ileana. The transition unfolded rather naturally, but it lacked the sparkle and rigour of Queen Marie. Until 1941, General Eugen Zwiedineck, the former master of Queen Marie's Court, was commissioned to manage the domain. He was replaced by Carol Guttman, the former manager of Balchik Palace in 1941. During the period of the World War II, while her spouse served in the German army and was being held as a prisoner of war, Princess Ileana took on the duties of a nurse, as her mother had done during World War I. Near the Castle, Princess Ileana founded the hospital, in which she would tend to the wounded, which would be called “Queen's Heart Hospital.” Princess Ileana would go on to write a memoir about this time in her life, entitled Hospital of the Queen's Heart, which was published in New York in 1954. Years later, in September of 1990, when she returned to the country, Princess Ileana, who in the meantime had become Mother Alexandra, visited Bran Castle and found the hospital in a desolate state. The little church was also relocated. When King Mihai I abdicated on December 30, 1947, Princess Ileana, together with her husband and children, would leave Romania, leaving Bran Castle to the Romanian State's stewardship. During the communist regime, part of the Castle's furnishings and royal objects were dispersed. When the queen died, 2164 royal objects were inventoried. In 1957, ten years after the beginning of the communist regime, Bran Castle became a museum, which was comprised of three sections: the Castle Section, which included items from the collection of royal objects); the Medieval Customs Section, which is currently undergoing restoration; and the open-air Ethnography Section, which is located in the Castle Park.